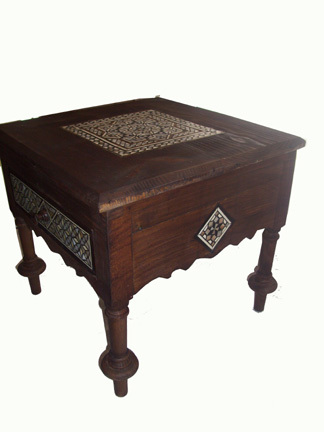 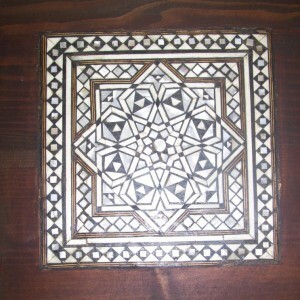 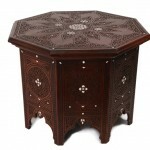 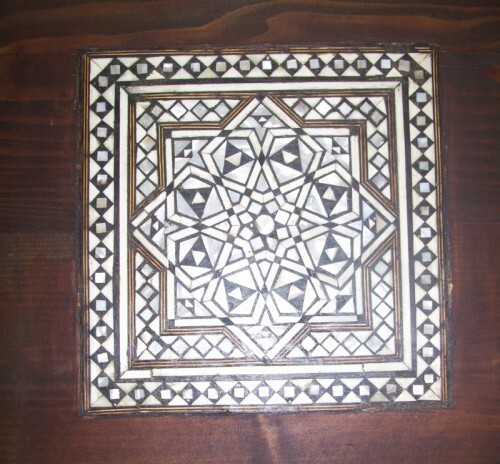 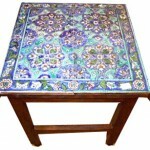 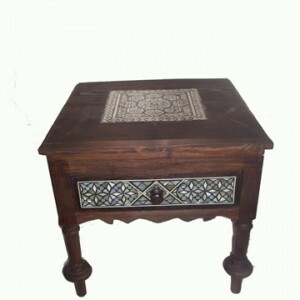 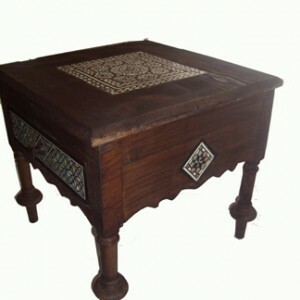 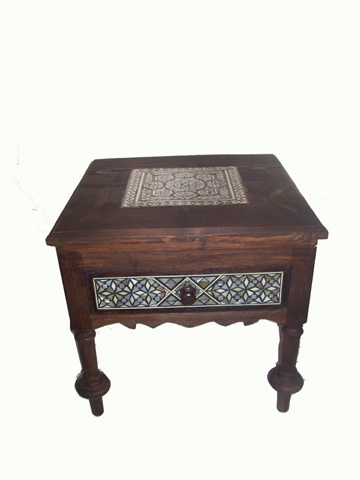 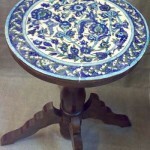 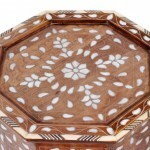 Small square walnut coffee table, inlaid with freshwater mother-of-pearl. 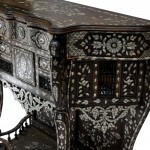 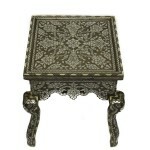 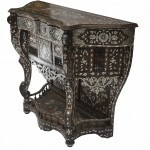 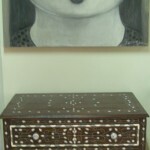 This piece features a small central draw, also inlaid with mollusc shells. 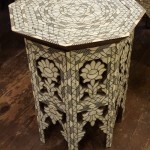 The freshwater mother-of-pearl marquetry has an unusual matt-finish and is handcrafted into a beautiful pattern unique to each piece of furniture. 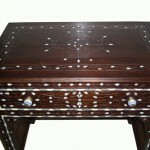 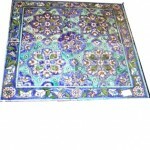 Items are also available in the more recognisable gloss-finish saltwater mother-of-pearl. 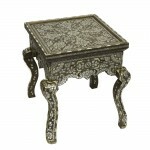 Each element of the nacre design is outlined with a filigree of fine metal alloy. 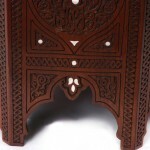 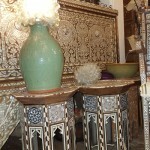 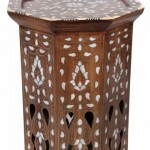 Authentic Syrian sustainably sourced walnut wood is used to create the main frame of the furniture and is hand-carved and finished leaving the grain of the wood visible. 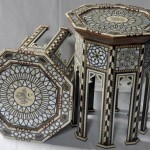 Each element is made by hand in the traditional fashion without the use of power-tools and all materials are sourced in Syria including the sea and river mollusc shells for the mother-of-pearl and the walnut wood for the body of the furniture. 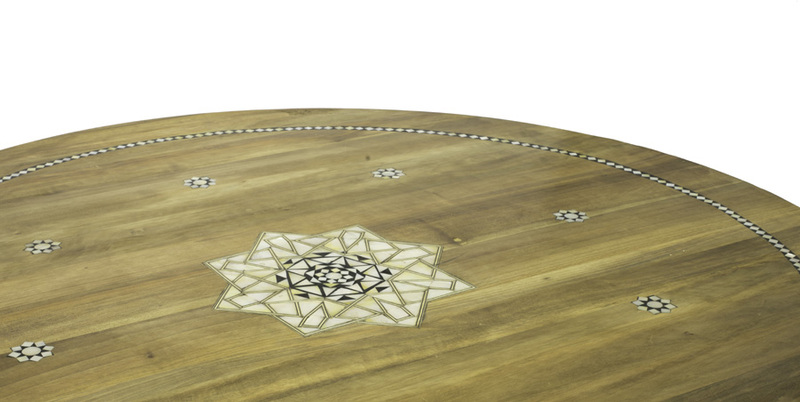 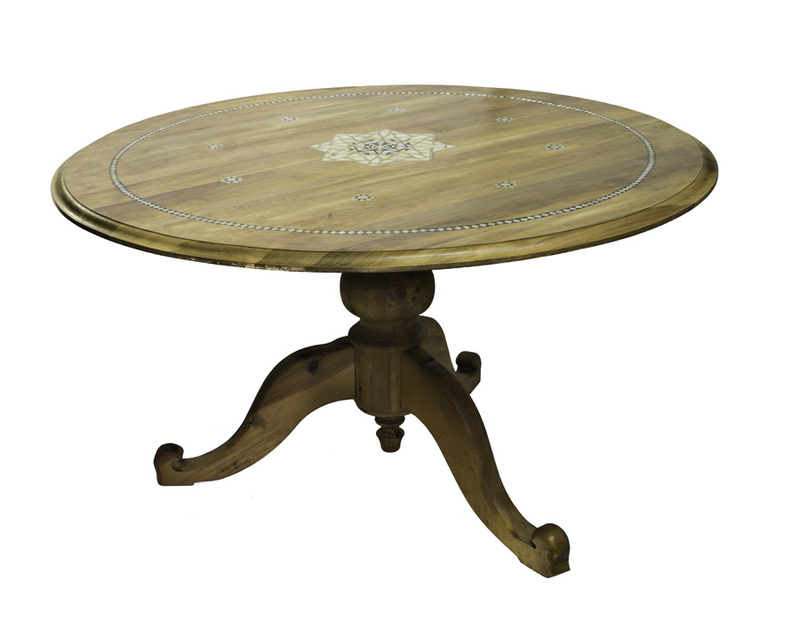 Every item of the Artiquea’s tables collection has been carefully selected from Artiquea’s specialists for its outstanding quality and rarity.